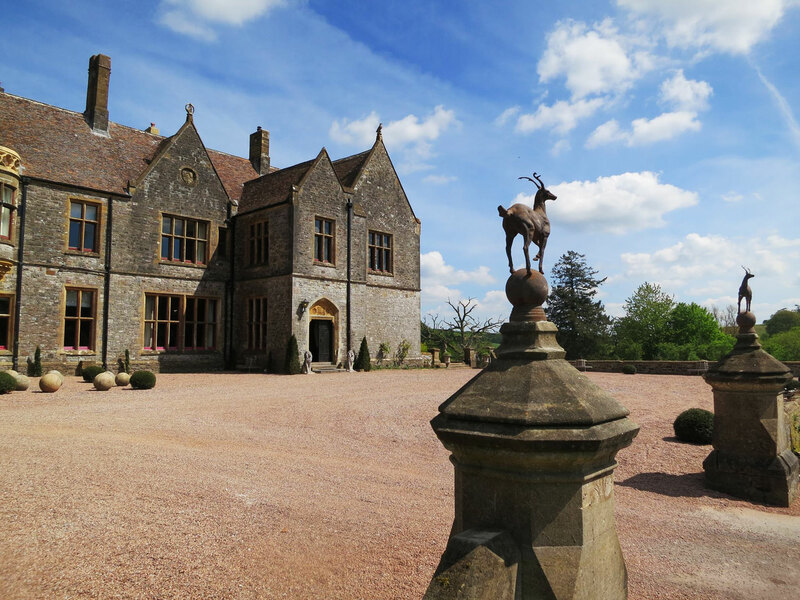 Walking into Huntsham Court is like a breath of fresh air, and that’s not just because it’s surrounded by acres of land. No. 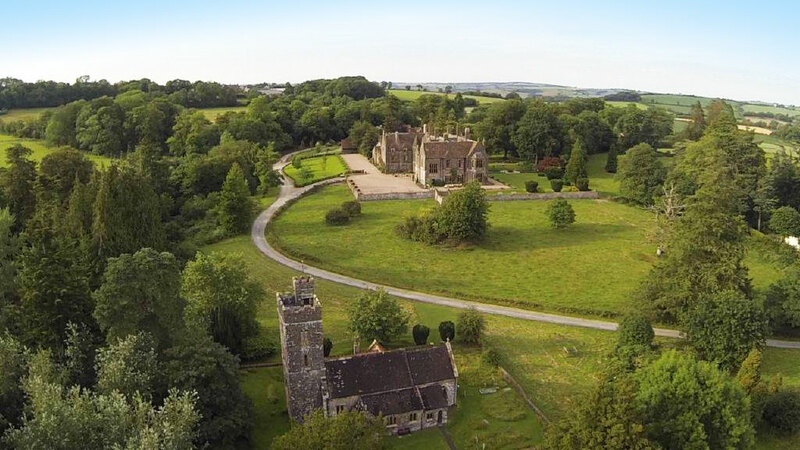 I’m talking about the relaxed laidback down-to-earth attitude of owners of Huntsham Court, Damien and Chris who will meticulously tailor make your stay at this retreat in Devon so as if to feel like an adventure of your lifetime. So dedicated are they to execute this, that they invite their guests beforehand to ensure they are happy with the venue. If you want the entire furniture rearranging in a particular room, consider it done. If you want to bring the outdoor in with fake grass carpet to mimic a park for a picnic, that too can be done. In fact, ask for almost anything and they will do their best to get it done for you. A place this good, I had to visit and experience it for myself, and with faith, I allowed Damien and Chris to come up with an itinerary to please even the fussiest of people. First stop was a visit to the River Cottage headquarters, cookery and chef school. – all in a Land Rover of course. Already a thumbs up from me as I’ve seen the impressive former game keepers lodge in the grounds of Slape Manor, Netherbury, Dorset featured in a number of television series presented by chef Hugh Fearnley-Whittingstall. Here my group and I had our own personal chef take us through mastering a range of seasonal scrummy canapés. Crostinis were incredibly easy to make without the preservatives found in bread. A healthier alternative to the chickpea hummus, the beetroot hummus was just divine, so much so that I struggled to eat the three course dinner laid on for us straight after the cookery lesson. Back in the Land Rover, and admiring the striking diversity of landscapes Devon has to offer, we arrived at Huntsham Court. Pictures don’t often do justice to buildings, and this exclusive use country house wasn’t an exception. Sitting in spectacular countryside on the Devon and Somerset borders, this mansion stands proudly, and despite its size, is welcoming. There’s space galore inside this venue with huge five main reception rooms all with appointed period features and furniture. They comprise the Great Hall complete with original Jacobean Oak panelling and large fireplace as well as a working Library linked to the spacious Yellow Room also with an open fire. 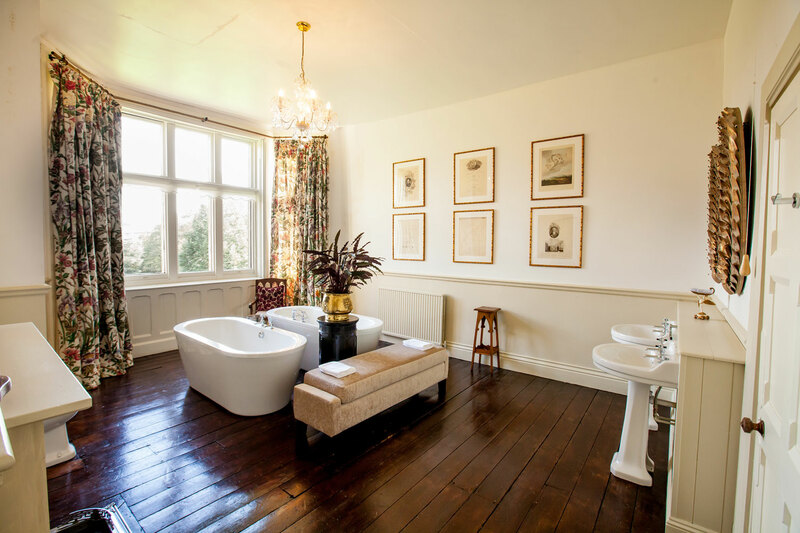 This room along with the elegant Diamond Room both enjoy splendid views out over the croquet lawn and Huntsham Estate. The last reception room is the delightful Snug Bar. There’s also a wonderfully wide sweeping oak staircase by the entrance hall which I delayed going up until I had a warm welcoming cup of afternoon tea and cake with my hosts Damien and Chris. And true to what I had heard, they made me feel immediately relaxed. These guys were my new best friends and I knew I was in for a good couple of days. A tour of Huntsham Court walking from one room into another led me to extend my jaw in amazement that little bit further. 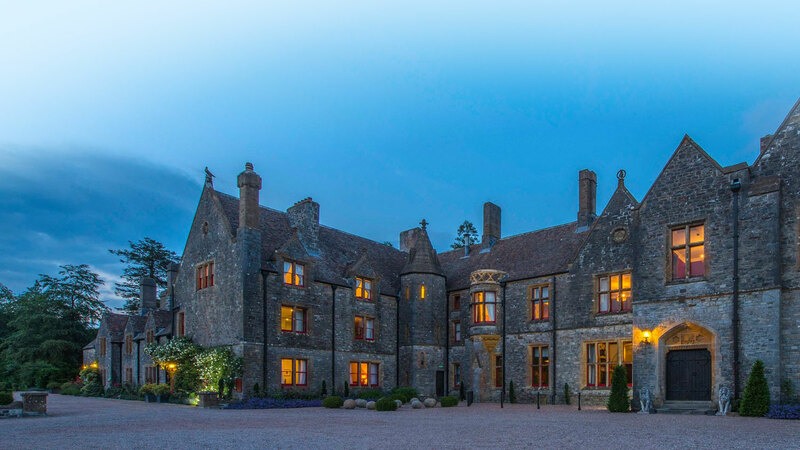 Each of the 31 bedrooms at Huntsham Court have an individual style from large four posters to turret rooms, and two-bedroom family suites. Many have Victorian free standing cast iron roll top tubs and double basins. Each room comes complete with fluffy white towels and complimentary toiletries. Canapés and drinks were served by local chef Peter Mundy. Being gluten-free, I often skip these, but I was so impressed with them that not only did I ask to meet Peter personally, but I requested more. They are the best canapés I have ever had that I could’ve eaten them all evening. But with dinner looming and the canapés this good, I knew I would like the dinner that was to proceed. And disappointed I was not. Dining here at Huntsham Court is like dining in Downtoneque style. We had a lavish meal complete with finest crockery, table linens and silverware money can’t buy. The banter and wit from the table just had to continue in the Snug Bar. Last night’s groggy head can be sorted out with a good dose of fresh air in the five acres of grounds surrounding Huntsham Court. In our case, Damien and Chris had laid on archery in the grounds to help shake off any hangovers. Considering it was the first time I held a bow and arrow, I hit my target twice in 20 minutes! I think my instructor Mathew Nimmo was impressed and so was I – I managed to get an arms workout at the same time. And of course every sport should be followed by a massage which I duly received in the comfort of my room straight after. 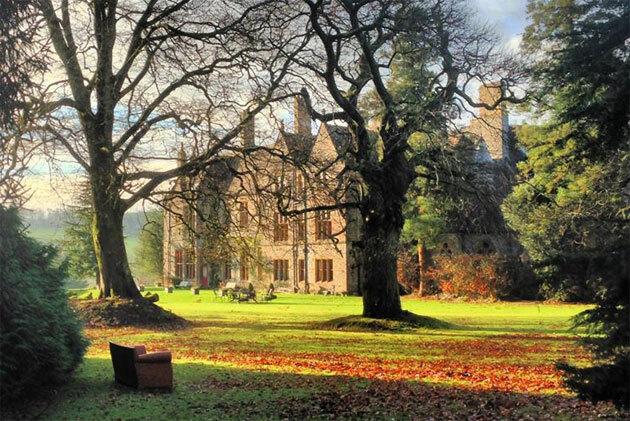 Partied-out, stuffed, yet relaxed, rejuvenated, pampered, and having made new friends, I left Huntsham Court with a heavy heart. But not without grabbing a handmade gourmet pie and vowing to return!